Looking for the purr-fect way to brighten up your home with a little something green? This planter is truly the cat's meow! The adorable kitty's body is a tapered flower pot that is ready for filling with our fantastic soils and a plant of your choice. Four legs serve as the sturdy base and the design includes a cute whiskered face and a long hooked tail. 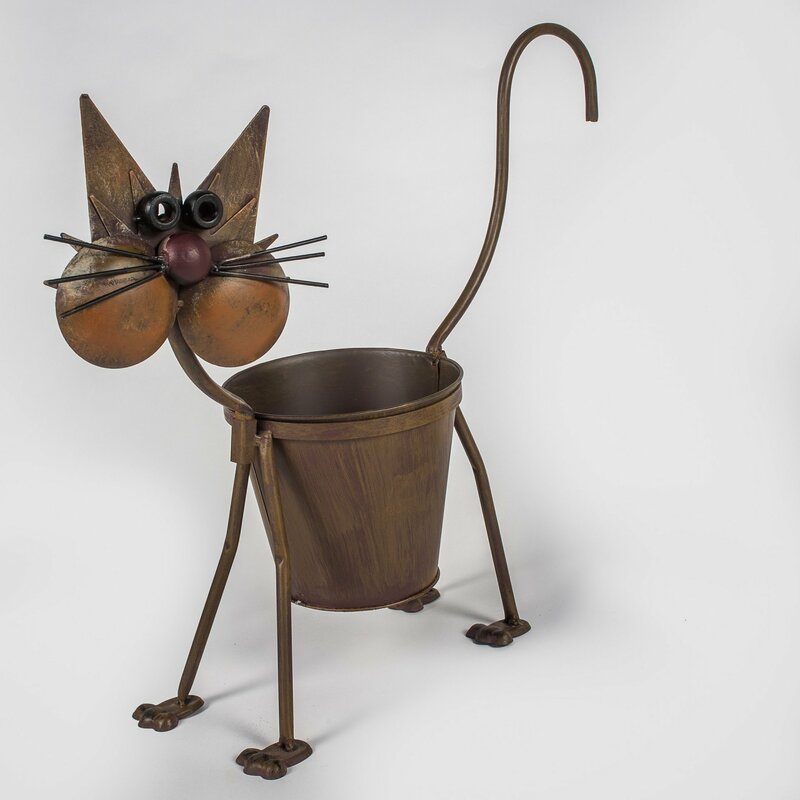 The Cat with Planter is a brown metal art cat with a long tail. The face has whiskers, a dark red nose and eyes. This cat would look fantastic with some flowers or succulents in the planter.